I mentioned in my last post about my partner’s Mother moving home this week, and how it looks like BT have missed an opportunity to give a seamless transition of her VDSL service. The new house was only around the corner from the old one, so should be on the same exchange, and maybe even on the same DSLAM and cabinet. 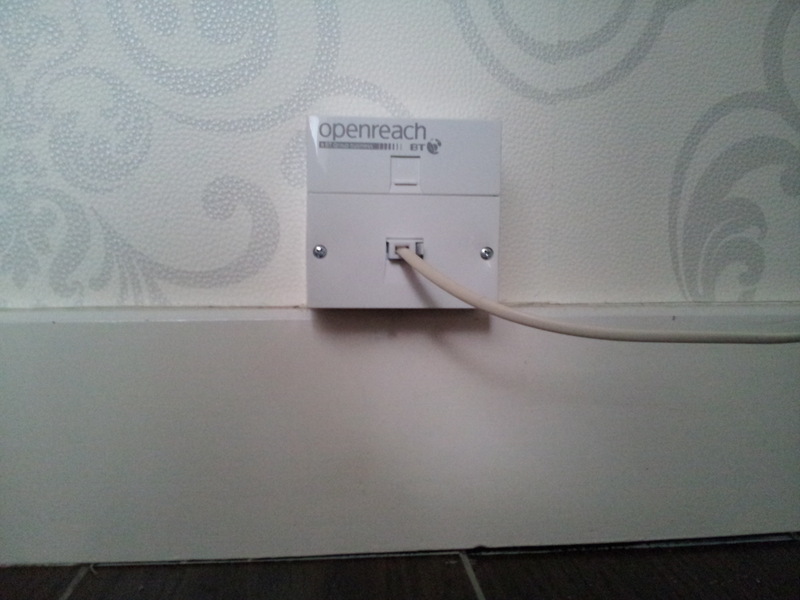 It had previously had VDSL service, judging from the master socket faceplate. Was the jumpering in the cab over to the DSLAM still set up? Well, we dug out the old BT VDSL modem and HomeHub 3, and set those up. 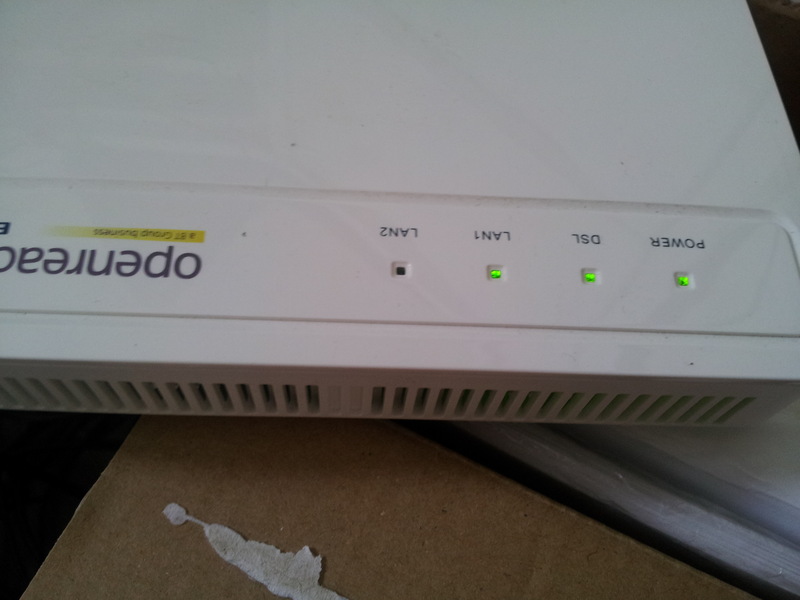 The VDSL modem successfully trained up. The line is still connected to the VDSL DSLAM. However, it’s failing authentication – a steady red “b“. Therefore it looks like the old gear won’t work on the new line. But then the new HomeHub 5 they’ve needlessly shipped out won’t work either: we set that up too, and get an orange “b” symbol. Evidently, something isn’t provisioned somewhere on the backend. Maybe the account credentials have been changed, or the port on the DSLAM isn’t provisioned correctly yet. Does this look like a missed opportunity to provide a seamless transition, without the need for an engineer visit, or what? Next Next post: Event (or Public) Wifi. It’s not that difficult.